“Having successfully completed the ITWorks program, I have earned my CISCO IT Essentials and A+ certification. I’ve also obtained two different positions, one part-time position at IPR International and one full-time position at Hosting.com, both in the IT field. I had applied to Hosting before enrolling in ITWorks, but was never interviewed. I recently applied again, and with my A+ on my resume, I was interviewed and got the position, which I start in January. 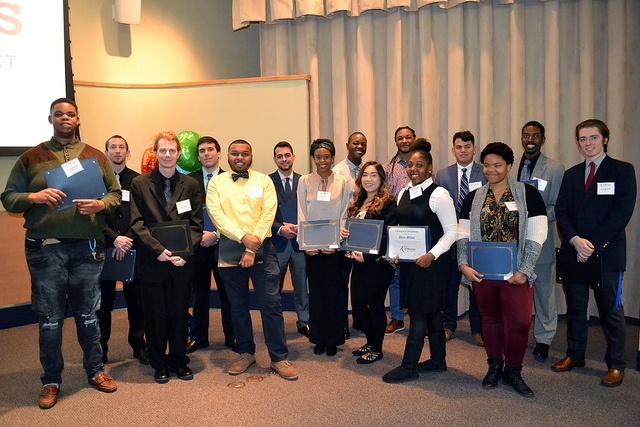 Thanks to ITWorks and the Tech Impact family, I’m on the path to beginning my career,” Jonathan Hinds, a graduate of the Fall 2017 class in Delaware said to the crowd at his ITWorks graduation in December. Now, the ITWorks team is ready to welcome a new cohort of students for Spring 2018. ITWorks is a free 16-week IT training and certification program that seeks to encourage opportunity youth to gain the skills and experience necessary to start a stable career in the field of information technology. Opportunity youth are those in their early adult years who are neither enrolled in school nor participating in the labor market. The term “opportunity youth” refers to the lost economic opportunities that result from their disconnection. ITWorks is an essential tool to growing the economic opportunity in the communities surrounding Wilmington, DE, Philadelphia, PA, and Las Vegas, NV. 100% of students earn an internship for the last five weeks. And ITWorks doesn’t just benefit the students – volunteers who mentor, host Friday Sessions, and participate in Lunch and Learns gain experience working with and teaching students, as well as learning life lessons from them.